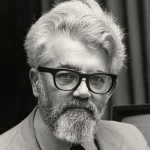 John McCarthy, the originator of SAIL, LISP, and many aspects of Artificial Intelligence, has died this week, Stanford University has said. He worked in the 50’s alongside Marvin Minsky and Claude Shannon, amongst others, and continued to give talks and show up at events around the world until recent years. He received the A.M. Turing Award from the Association for Computing Machinery in 1971. An interesting side note is his work on Situation Calculus. Overall, his way of thinking and solving problems made the rigors of logic express themselves on a much more human scale. He will be missed.